Fess up. If you could quit your job, pull your kids out of school, sell your house, and say goodbye to your friends, you’d move to the doorstep of Walt Disney World, in a heartbeat. But who can do that? Scott and Michele Atwood did. And in doing so they built a Disney business. Here’s how! From cold, snowy Michigan, Michele Atwood tried to run her popular Disney site, The Main Street Mouse. It wasn’t easy. All the action was many hundreds of miles away, in Orlando. Her dream—her Disney dream—was to earn enough money from The Main Street Mouse to support her family. But from Michigan? No way. So she shut down the site and got a real job. Except … she didn’t! If Disney couldn’t come to her, she’d go to it. 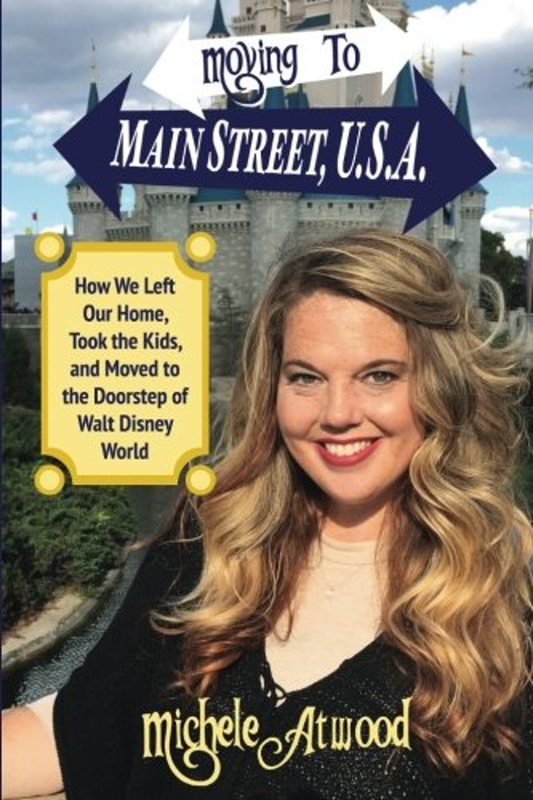 She persuaded her husband, Scott, that it made perfect sense to pull up stakes and rent a house near Disney World, a house they’d never seen, and count on the website to pay the bills. After some difficult times, Florida began to feel like home, and The Main Street Mouse became one of the biggest, most successful Disney fan sites in the world. And they blogged happily ever after! The Atwoods’ story is a real Disney dream come true. If you would like to order a personalized autograph copy of Michele’s book, use the Buy Now button below. The payment will be processed through PayPal, but you don’t need a PayPal account to process the order. The cost is $20 for the book and an additional $5 for shipping and packaging. Due to shipping costs, if you live outside of the United States, please contact us at MovingToMainStreetUSA@TheMainStreetMouse.com and we can give you a price based on your location. ***Please note, for an autographed copy, it may take up to 3 weeks for order processing. We will send you a tracking number, once the book ships. Thank you for your support!! !